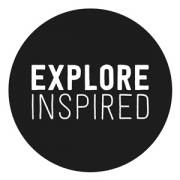 Recently, Explore Inspired founder, Jonathan Ronzio, was profiled by obstacle course racing apparel brand Mud Gear. Ronzio took to competing in the OCR circuit as an elite Spartan racer for the purpose of mountaineering cross-training, and the pursuit has evolved since. Read the full Q&A with Mud Gear now!